Europcar Mobility Group is a French car rental company founded in 1949 in Paris. The head office of the holding company, Europcar Group S.A., is in the business park of Val Saint-Quentin at Voisins-le-Bretonneux, France. Today Europcar operates in 140 countries covering Europe, North America, Western Asia, and Africa. 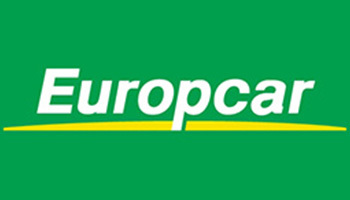 Since May 2006, Europcar has been owned by Eurazeo, one of the top listed investment companies in Europe. Navigating a whole new area on your own schedule was never easier than with a cheap car rental from Murcia. As soon as you arrive at Murcia, Spain, you can look forward to exploring straight away. As well as having the freedom to drive to exciting new locations on a whim, you can plan day trips and excursions to nearby attractions that capture your interest. Europcar have daily, short term, weekly, monthly and long term deals available, choose from a large fleet of cars, one will be best suited to your trip. Los Bastidas, 30154, Murcia, Spain. Delivery and return will be arranged when booking your car.